Best headline I've seen today. As part of a settlement for a gas leak, Sempra will invest in methane capture and renewable natural gas conversion. 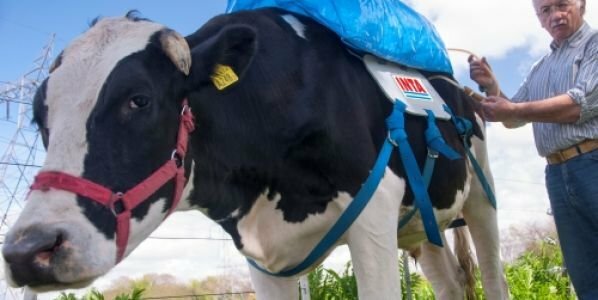 "Almost a quarter of the money will go to fund a program to capture methane from dairy farms that can be processed into something called renewable natural gas." That 2nd cow shows promise. I'm going to pursue a grant to work with NASA with the goal of strapping cows to airplanes. Think of all the issues that one innovation could solve. Ok, I'll stop now. He-he. 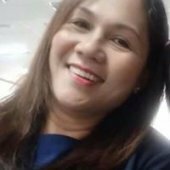 Look at her avatar. Of course she did. 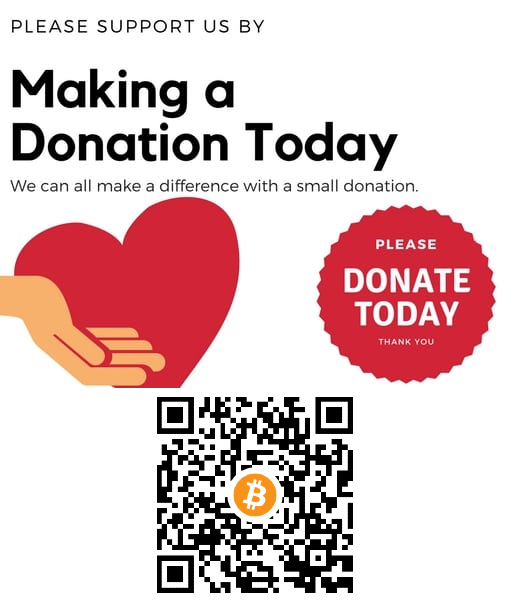 Ha-ha! 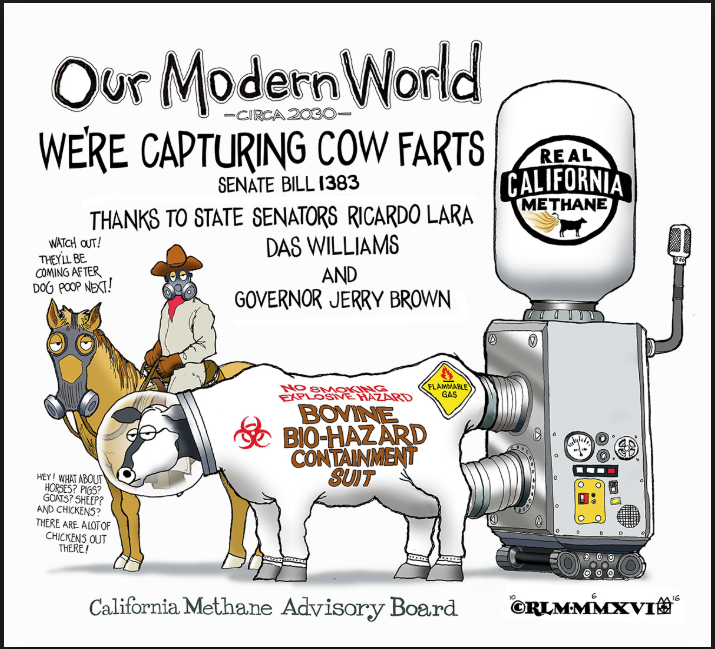 SACRAMENTO (AP) — California’s Legislature has approved regulations on cow flatulence and manure – both blamed for releasing greenhouse gases. 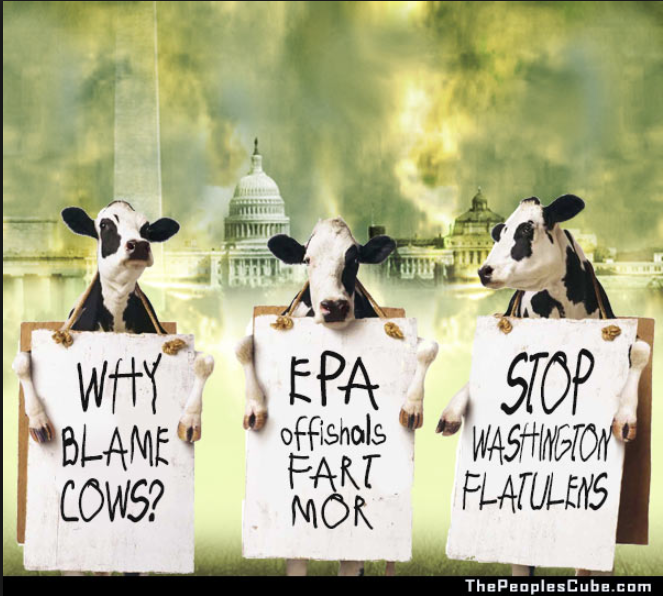 The legislation seeks to reduce methane emissions associated with manure to 40 percent below their 2013 levels by 2030. 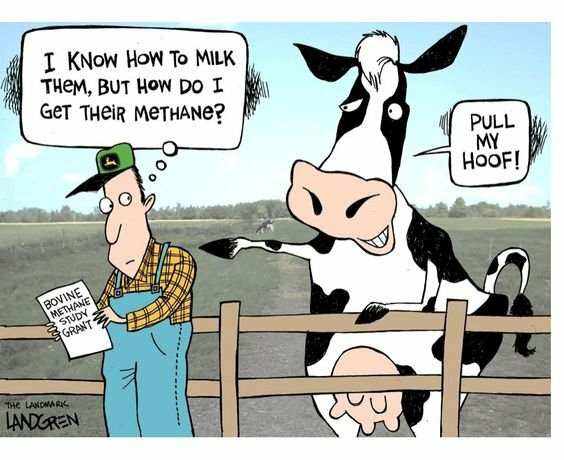 Methane is one of several gases known as short-lived climate pollutants that don’t persist for long in the atmosphere but have a huge influence on the climate. The bill also calls for efforts to significantly increase composting to eliminate the amount of food waste in landfills, which releases methane when it breaks down. 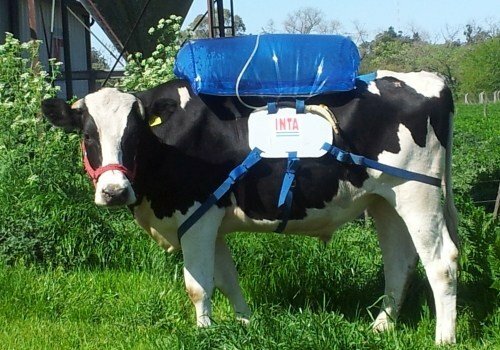 Fortunately, Argentina is similarly cursed with a high population of gassy cows, so they have developed the INTA system to capture cow farts in a lightweight inflatable backpack, which can then be harvested while the cows are being milked. Personally, I think every climate scientist and gasbag politician promoting the AGW hypothesis, ought to be made to wear one too. I knew I should have kept some mystery! Alas, I'm not the mysterious type. 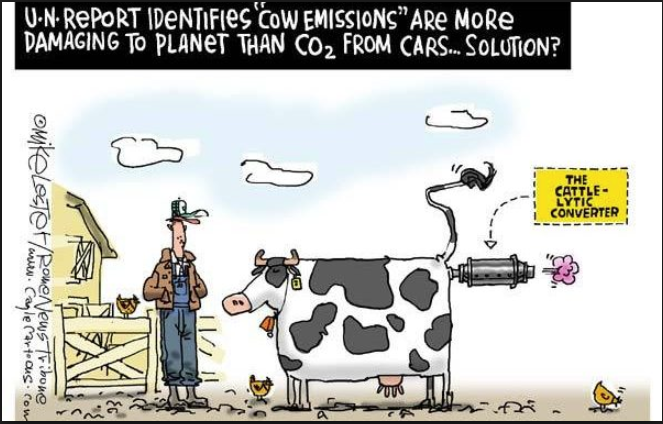 Okay, now I feel bad for cows. Really bad. 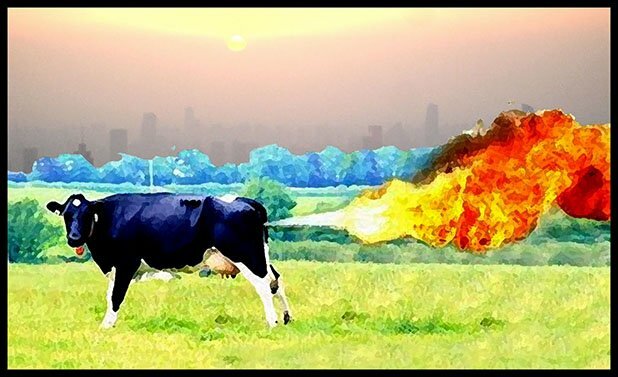 "Fortunately, Argentina is similarly cursed with a high population of gassy cows"
A fortunate curse, certainly. Delicious.